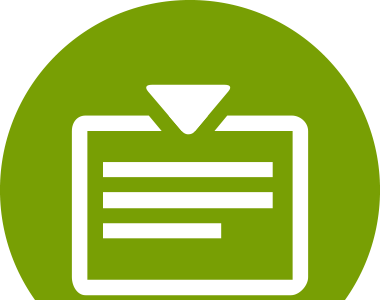 Collector connects to Code Central and automatically syncs all coverage data for linked projects, removing the need for managing coverage files. 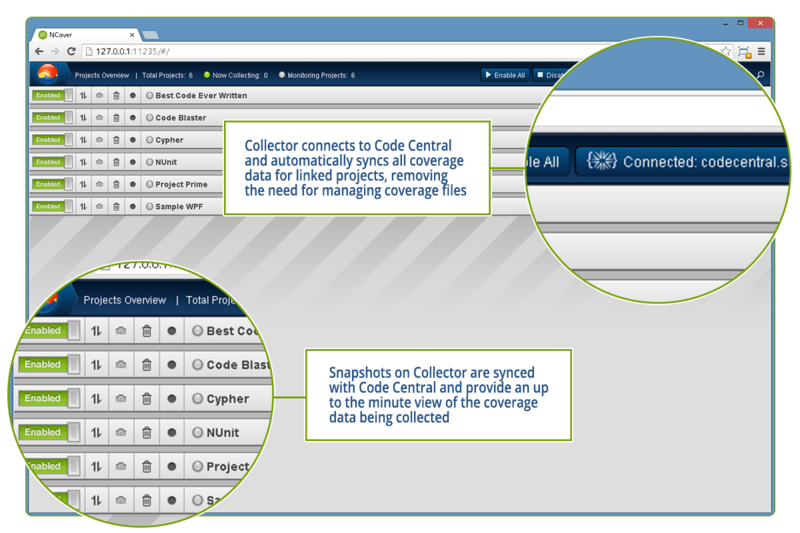 Snapshots on Collector are synced with Code Central and provide an up to the minute view of the coverage data being collected. 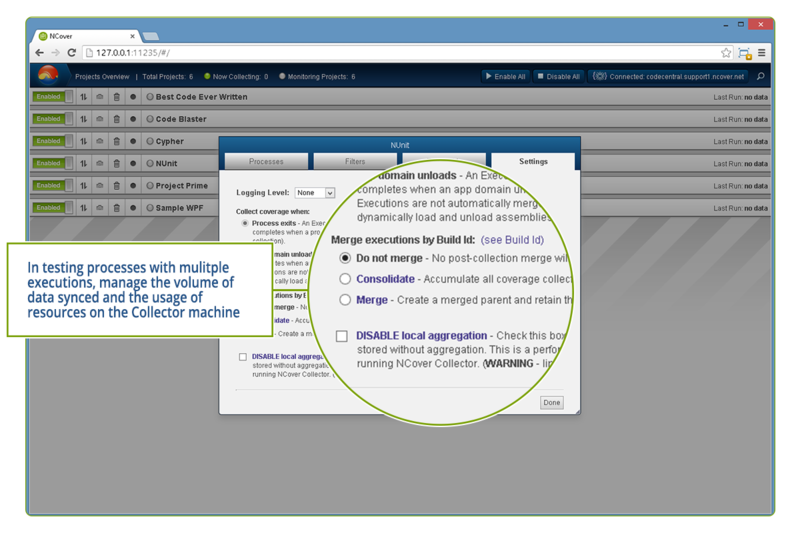 In testing processes with multiple executions, manage the volume of data synced and the usage of resources on the Collector machine. 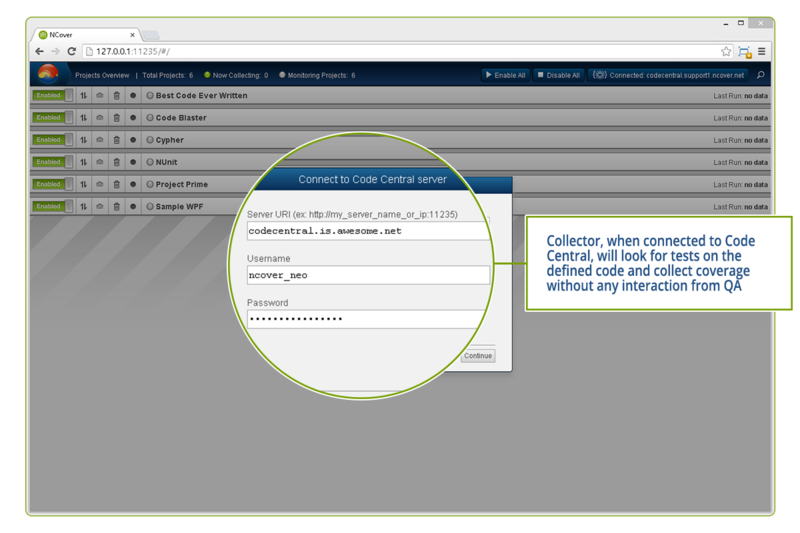 Collector, when connected to Code Central, will look for tests on the defined code and collect coverage without any interaction from QA. 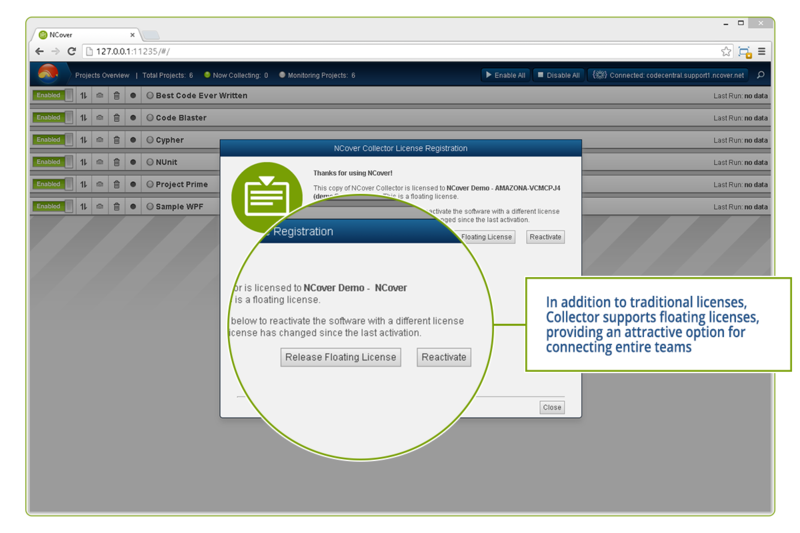 In addition to traditional licenses, Collector supports floating licenses, providing an attractive option for connecting entire teams.